The VMafia got a treat in our inboxes yesterday---the cover of Victoria Scott's next novel, Hear the Wolves. We love Victoria Scott and her books and are so excited about this new story, so we're super happy to help reveal this awesome cover to y'all! 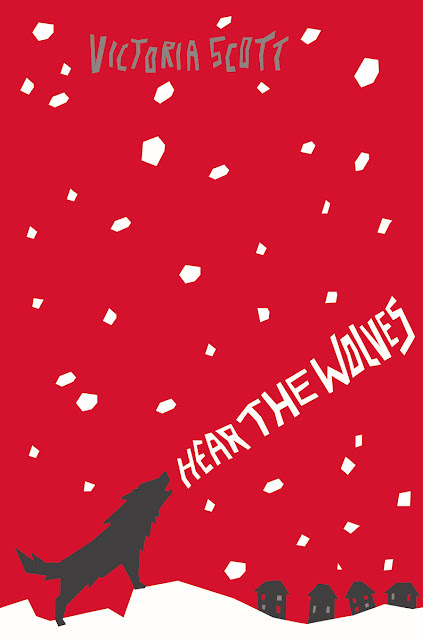 Check out the cover and blurb and all that fun stuff below, and then enter the incredibly generous giveaway to win one of ten (yes, TEN) ARCs of Hear the Wolves! And, please, don't forget to let us know what you think of the cover in the comments! Releases March 28th, 2017 from Scholastic! Enter to win one of ten galleys of Hear the Wolves! This giveaway is sponsored by the publisher. StuckInBooks is not responsible for selecting winners or sending out prizes. Wow! I have got to read this. Sounds like Victoria has written another pulse pounding thriller!